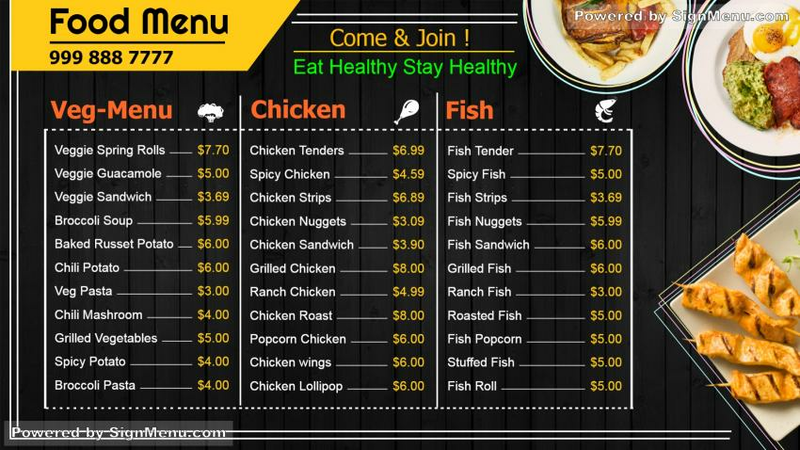 This Template is best showcased on a digital menu board placed indoors or indoors of the restaurant. Catering restaurants, with their eclectic mix of menu, usually do brisk business all year round and are popular in the town / vicinity they are based in. For many years, trials by customers and menu innovations have enhanced catering businesses to a new high. To augment this growth further, digital signage advertising has provided the catering business the opportunity to convey their marketing message aggressively , while encouraging better, and more effective, customer engagement. This template is ready for download and use.